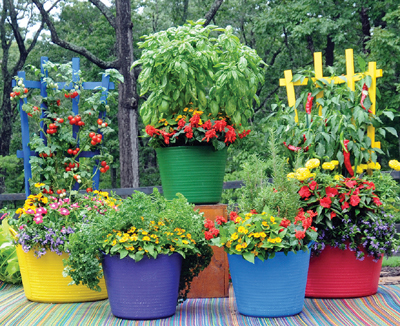 Now veggie gardening can look exciting and attractive- with these brilliantly colored Trugs* and Trellises on patios, decks, balconies and driveways. 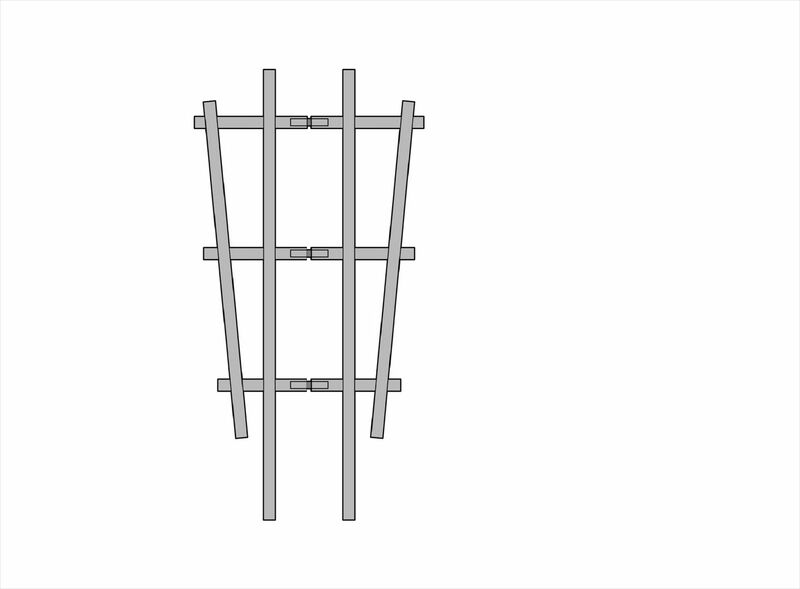 Trellises are strong and durable. Made from 1/2" thick poplar wood. 4 feet tall, 24 1/2" wide overall at top, 9 3/4" wide at bottom. 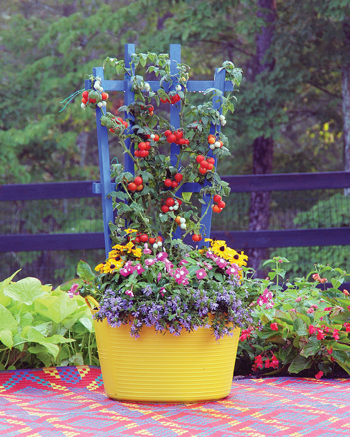 Made in Oregon, Trellises are hinged up the center, so they grip the tubs snugly. 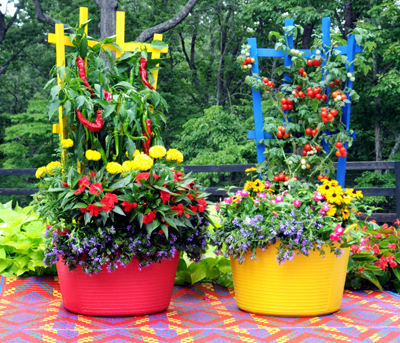 Colorful Trellises can be used in the Large and Medium sized Trug Tubs to support veggies like tomatoes, peppers, beans and cucumbers. 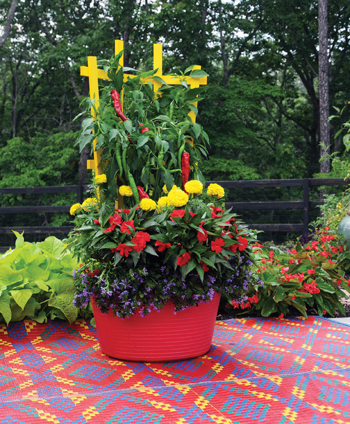 We highly recommend drilling 3/4" drainage holes IF the trugs are going to be used as planters.